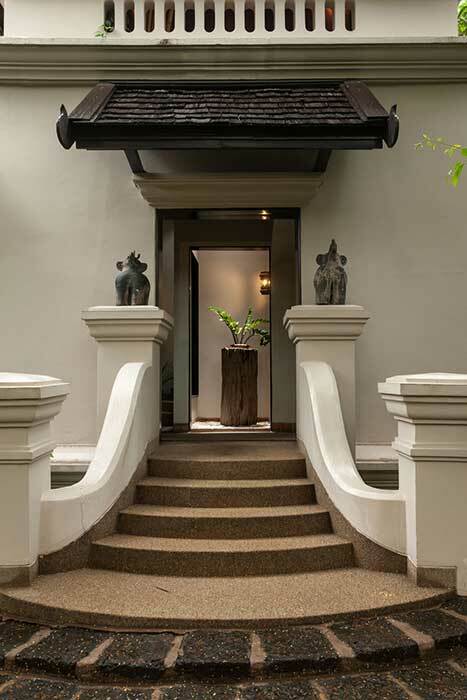 Our Chiang Mai accommodation is situated in an elegant Chiang Mai villa that is influenced by the grand palaces of the ancient Lanna Kingdom of Northern Thailand. 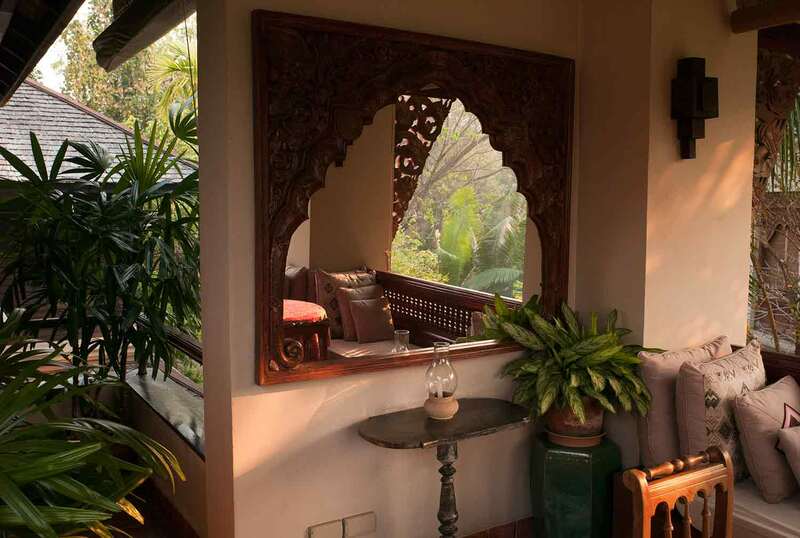 Our 3 suites are set up high with wonderful views across the verdant flora of the Four Seasons landscaped resort. 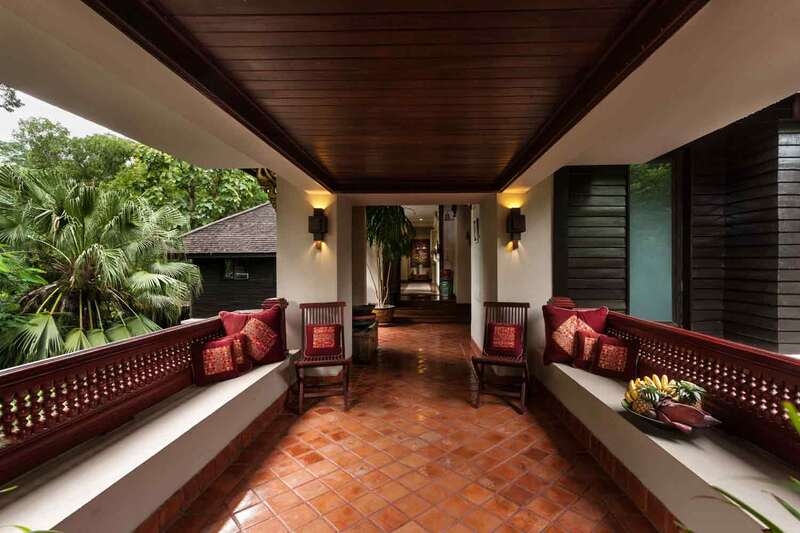 The resort is famous for creating some of the finest villas in Thailand. 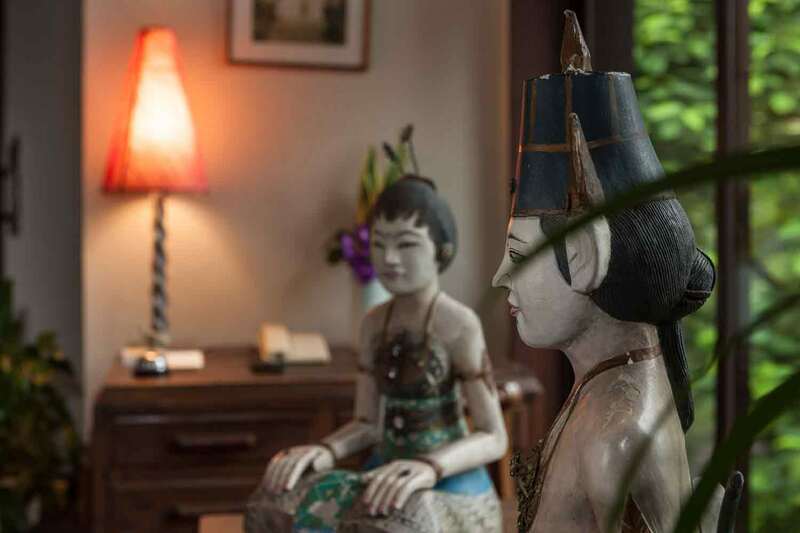 This Chiang Mai accommodation is a peaceful place that inspires relaxation, the perfect environment for a break from the hustle and bustle of daily life. 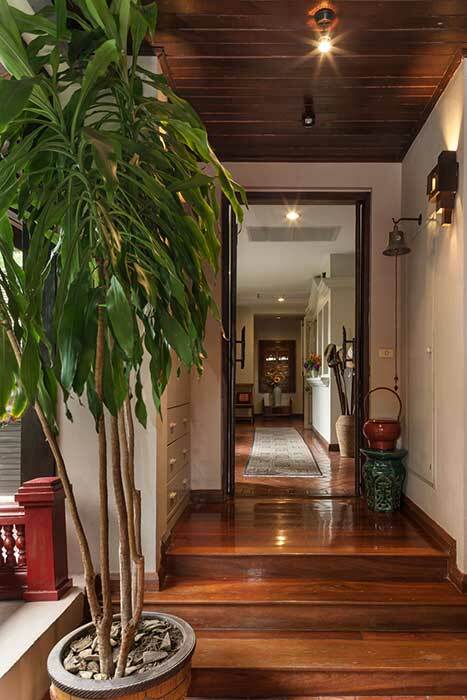 Everywhere you look in this Chiang Mai villa there are fine antiques and yet more exotic tropical plants. 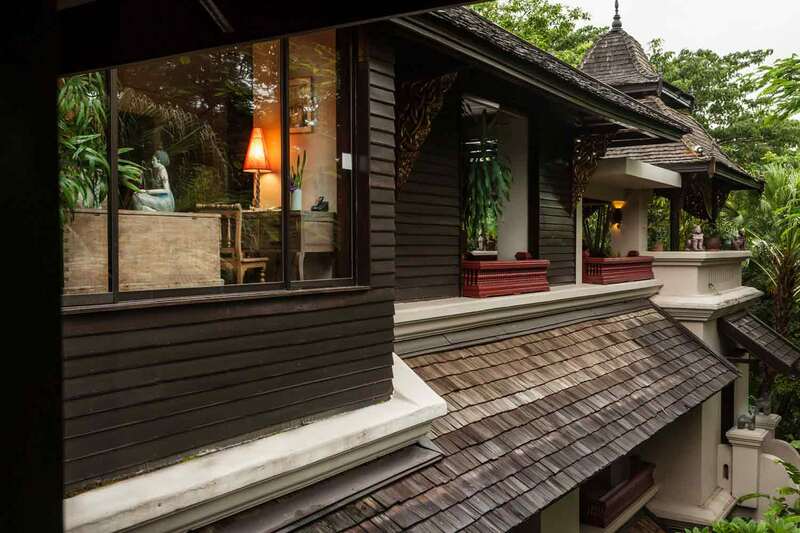 The Lana Thai luxury villa Chiang Mai is offered directly by its owner, a somewhat unique occurrence among Thailand villa rentals. An integral part of its exclusive service is the devoted attention of its butler and housekeeper who prepare breakfast and attend to our guests’ comfort with discretion. 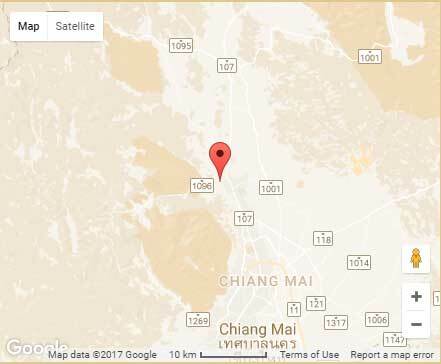 They are on hand to help you get the most from your stay, from organizing visits to local Chiang Mai attractions to shopping trips to the craft markets or the old city of Chiang Mai. 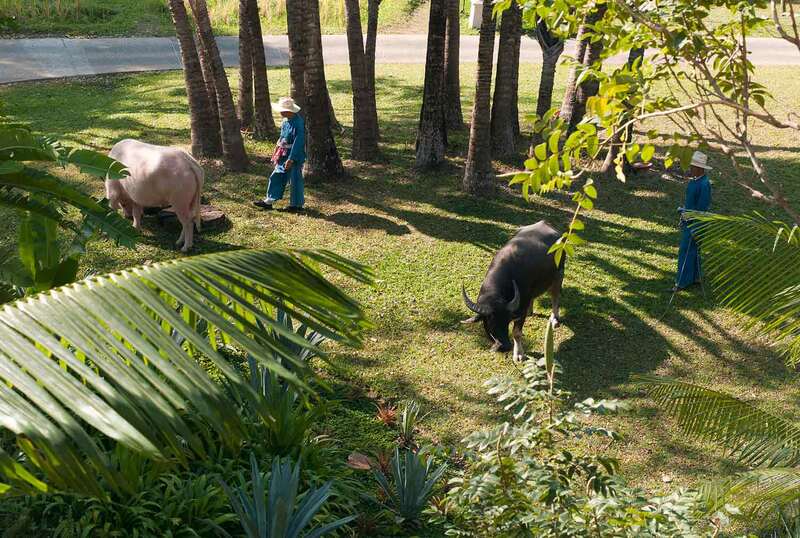 They will also introduce you to the facilities available at this renowned Chiang Mai villa resort. 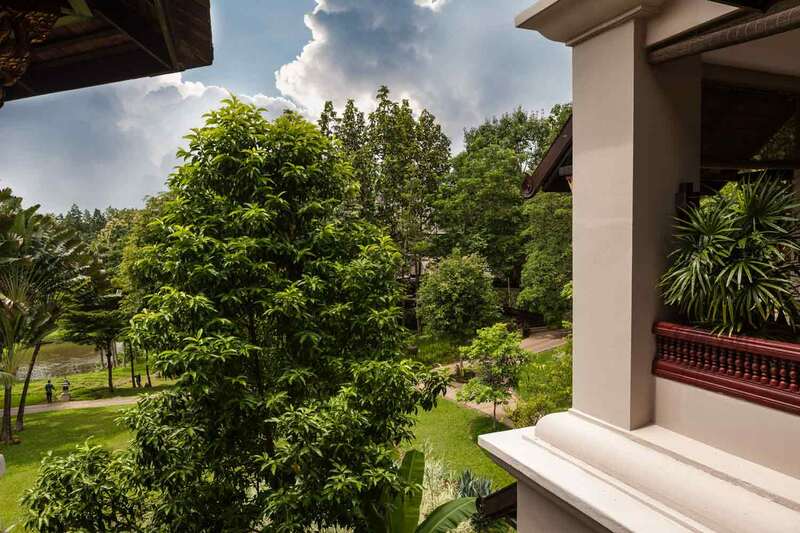 Lana Thai Villa Chiang Mai accommodation consists of three exclusive suites fully air-conditioned and en-suite, ranging in size from approximately 28 to 50 square meters (300 to 550 sq. ft.). 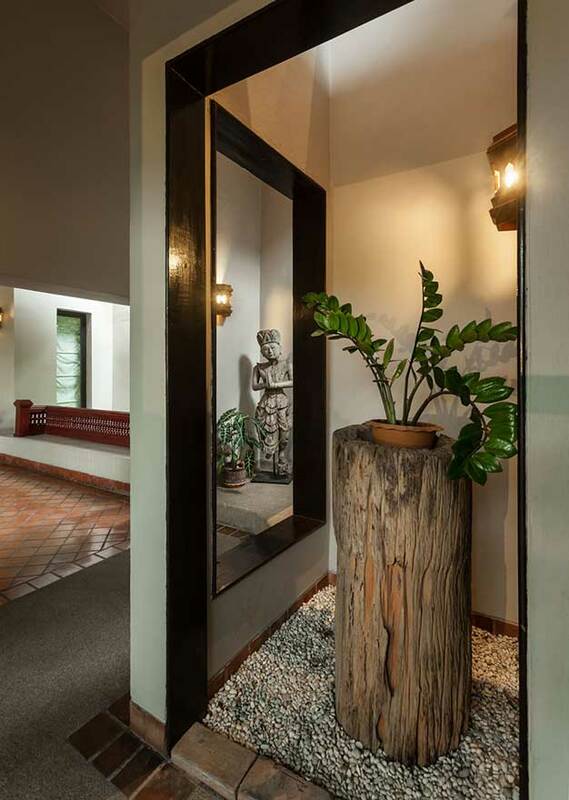 Each is individually and artistically designed around a different theme. Two of them have a “Sala”, or outdoor covered balcony, where breakfast is served. 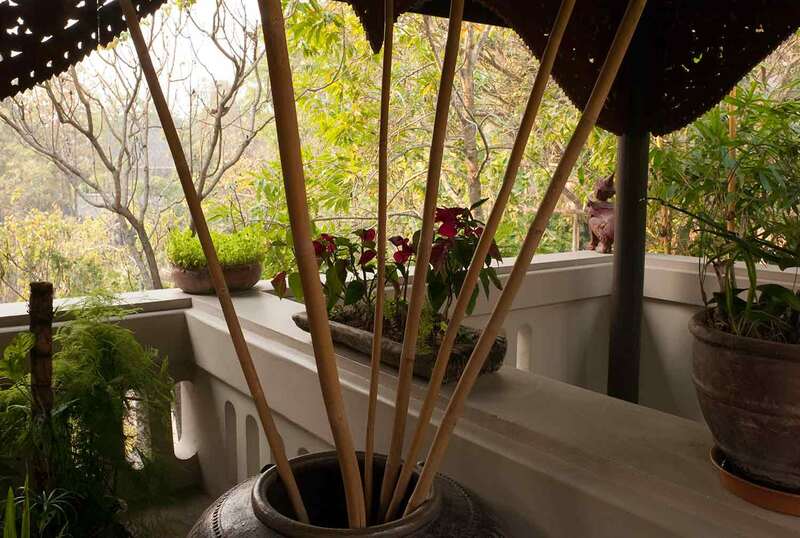 They have serene panoramic views of the mountains, the landscaped gardens, the lily pond, and the rice terraces. 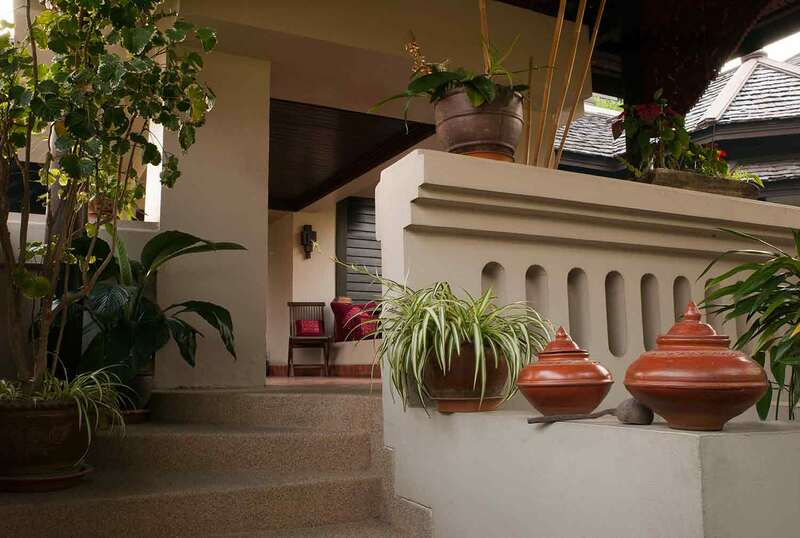 Lana Thai Villa suites offer the perfect solution for family holidays, for a friends meet up or any group looking for a luxury villa in Chiang Mai. 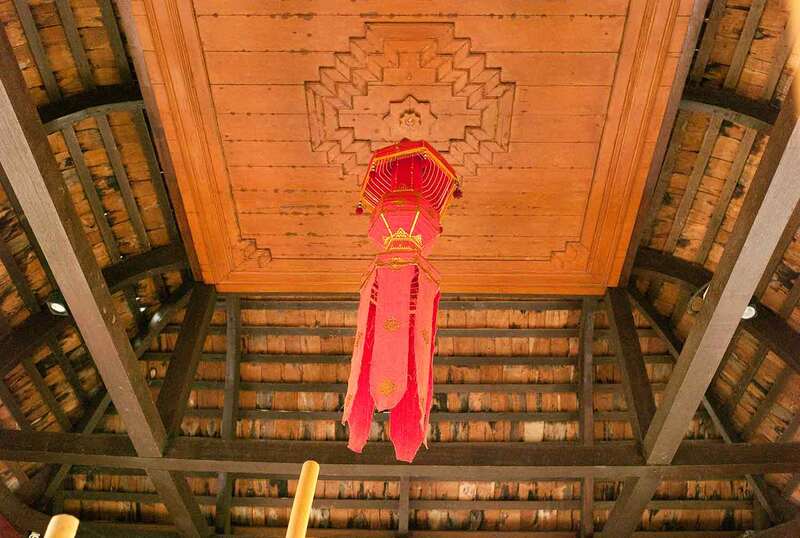 One cot for a baby, and one roll-out single bed for one child staying with parents, are available for the Chinese and Balinese suites. 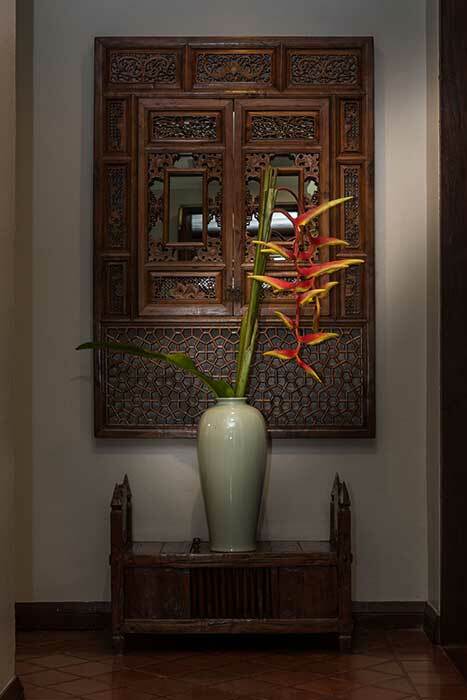 Booking the Balinese suite along with the Burmese Room is another great option for a family with children. 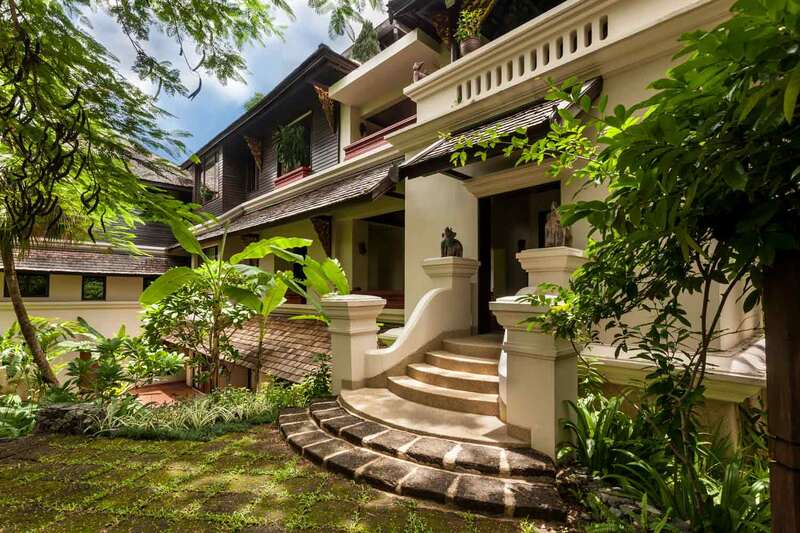 When searching for Thailand villa rentals and luxury villas Thailand you will find a selection to choose from but few can offer this level of detail. 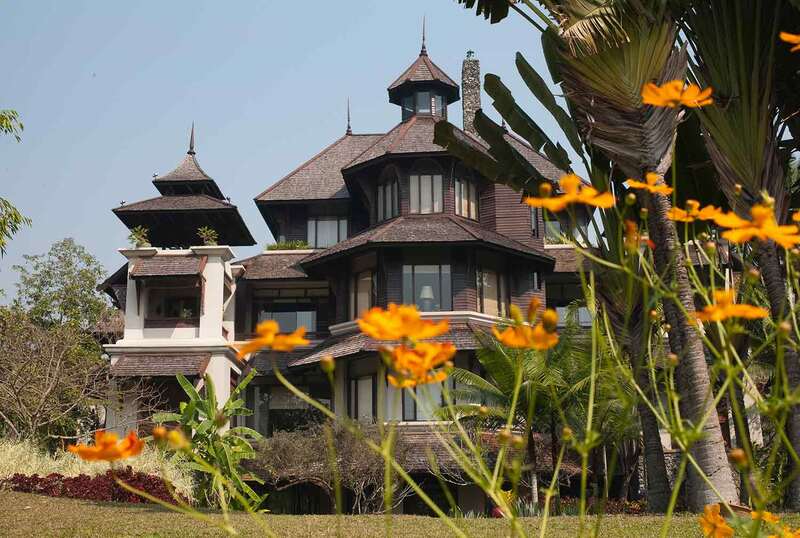 This resort in Chiang Mai is renowned for creating some of the most sought after villas in Thailand. 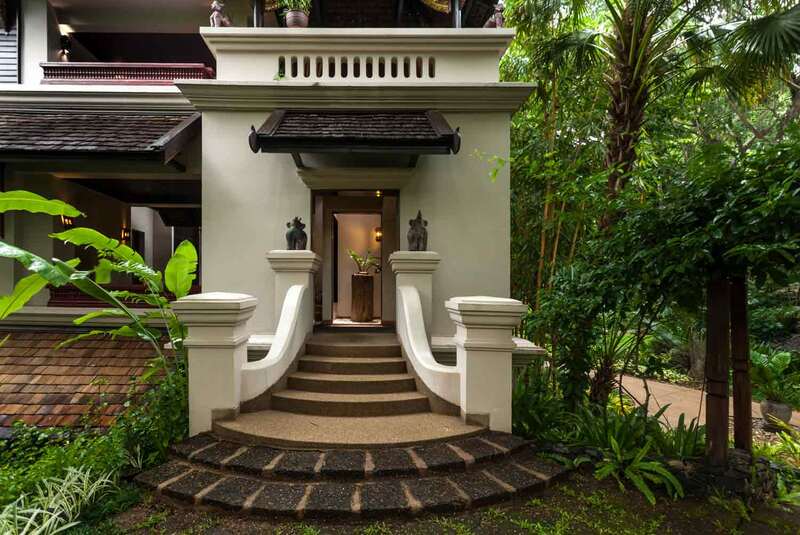 If you appreciate the finer things in life and are familiar with the quality of luxury villas in Thailand you will recognize what an exceptional opportunity is presented by Lana Thai Villa.